Check out what one of the Michigan members of my site FinalGear.com managed to get for me! 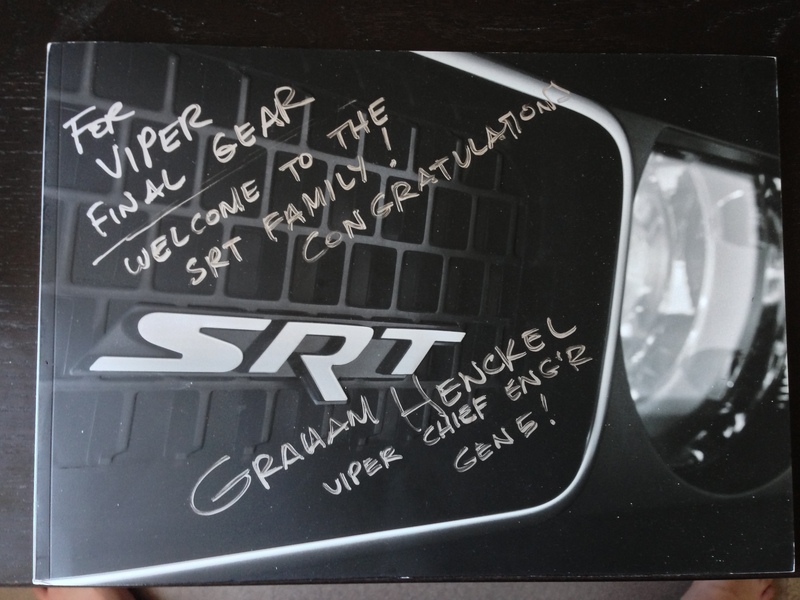 It’s a SRT brochure signed to me by the chief engineer at SRT, Graham Henckel! Pretty awesome, huh? This entry was posted in Automotive, Cool Stuff and tagged FinalGear.com, Graham Henckel, SRT, Viper. Bookmark the permalink.